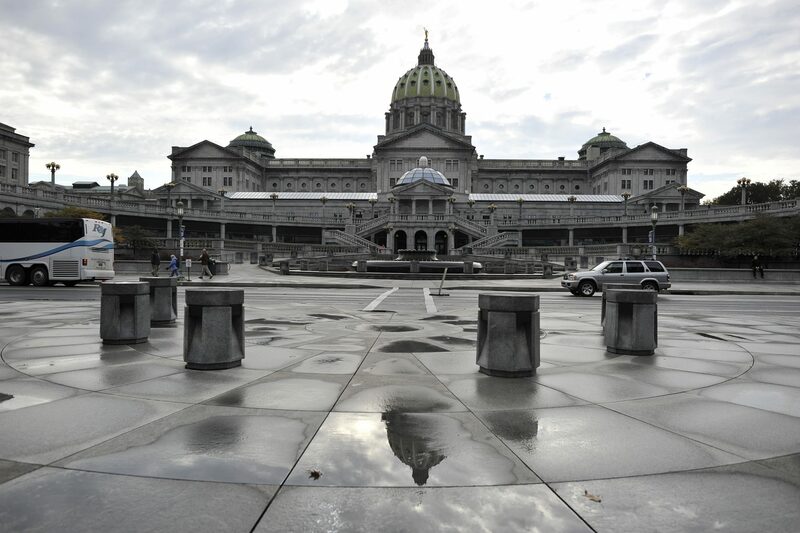 The Republicans who control Pennsylvania’s House and Senate are now mulling over Democratic Gov. Tom Wolf’s budget proposal. Gov. Tom Wolf wants to increase the minimum starting salary for teachers to $45,000, as we reported last week. Districts could get up to $693,000 each under that proposal. Ed Mahon created this searchable database for PA Post that lets users find out how much, exactly, it would mean for theirs. There are several other main proposals in Wolf’s fiscal plan — but they’ll remain hypothetical until and unless the Republican-controlled Legislature gets on board. Which have a good shot of becoming reality? Which amount to pipe dreams? WITF’s Capitol Bureau Chief Katie Meyer breaks it down in this list. Katie also talked about key budget elements — plus some interesting components overlooked in initial coverage — with Avi Wolfman-Arent, Keystone Crossroads education reporter at WHYY, Transforming Health reporter Brett Sholtis and me in the latest State of the State episode. Gov. Tom Wolf (left) and Lt. Gov. John Fetterman announce the listening tour focused on legalizing recreational marijuana. Lt. Gov. 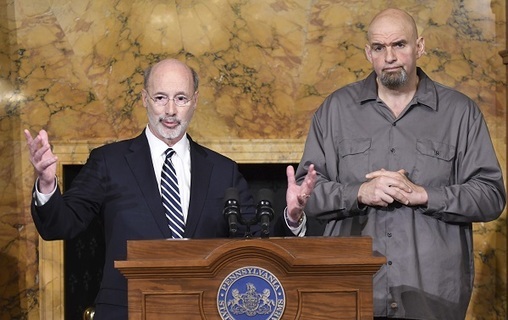 John Fetterman’s recreational marijuana listening tour kicks off tonight in Harrisburg. Details are here. A suburban Pittsburgh school board member is resigning in response to backlash over an anti-Muslim Facebook post he shared. Plum Borough School Board Director Brian Wisniewski apologized in a resignation letter, officially accepted by the board in an emergency meeting this weekend. People who work at and live near US Steel’s Clairton Coke Works packed a public hearing organized by state lawmakers to address air quality problems that have persisted in the wake of a fire that damaged pollution controls at the plant. StateImpact Pennsylvania was there.